ZAPPA is BACK ! 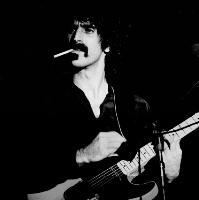 Yeah an evening of FRANK ZAPPA courtesy of Pygmy Twylyte. PAY ON THE DOOR £5 or BOOK ONLINE. PLEASE NOTE : NO PRINTED TICKETS will be made available for this one so if you wish to guarantee your entry please book a ticket online. £5 plus 50p Booking Fee.